Question: Hi, If I am 19 and have a receding hairline and I take your product, what would if I were to stop taking it in the future? 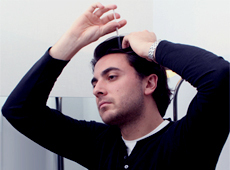 A receding hairline is a classic sign of Male Pattern Baldness which is a progressive condition. This means that the symptoms will not simply go away once it has been treated to the point where regrowth occurs. 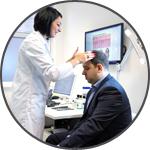 Treatment needs to be ongoing in order to continue to address this ongoing hair loss condition. If you were to start using a standard course featuring high strength minoxidil, the most popular form of treatment for a receding hairline among Belgravia clients, but stopped once you were happy with the regrowth results you experienced, your hair loss would start again. Your hairline would recede once more and the miniaturisation process caused by male hair loss would continue as before given there is no longer any treatment to help inhibit the DHT which causes this to happen. Some people feel better equipped to deal with hair loss as they age. So, whilst men may use treatments earlier on, later in life they may feel comfortable enough to let nature take its course and decide to stop following their male hair loss treatment course. It is very much a personal decision for each individual. What is a Maturing Hairline? Is it a Sign of Male Pattern Baldness?